When Xbox Live Arcade launched in 2004 on Microsoft’s debut console, six titles well-known for their arcade roots appeared on the service at a fraction of retail cost. After Xbox Live Arcade re-launched on Xbox 360, the “Arcade” titles being released had a meager size limit of 50MB and retained the trend of being quick, shallow experiences. Today, some downloadable titles earn more critical attention than major blockbusters and may even reach Microsoft’s mandated size limit of 2GB. Kasavin is the writer and creative director of Bastion, an independent, downloadable title released in 2011 that earned more than 100 industry awards and sold more than 500,000 digital copies. 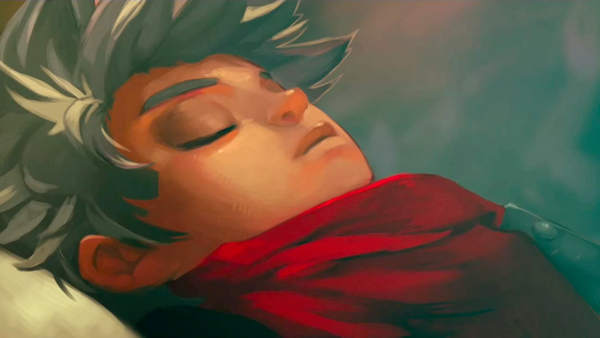 It was SuperGiant Games’ first release since being founded in 2009. Bastion’s success, while in some part due to a well-constructed combat system, found more consistent praise from its narrative prowess. 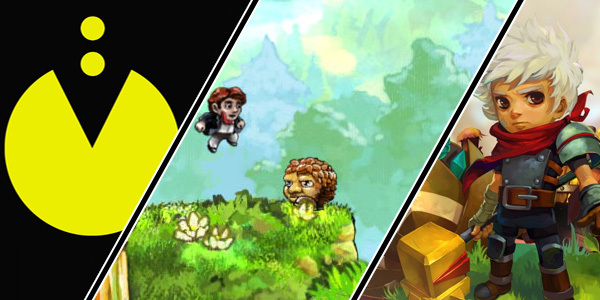 Unlike the simplistic games first pushed onto the downloadable market, Bastion outshined full-retail titles without resorting to arcade nostalgia. “You don’t just want to complete that challenging mission or get that elusive piece of gear for its own sake; you also want to hear what the narrator has to say about it when you do,” said Matt Miller, associate editor at Game Informer. It’s difficult to isolate an exact instance when downloadable titles grew in both respect and scope, as multiple games at different times have found success both on Xbox Live and other popular, downloadable marketplaces. While smaller games have been on an upward trend for years, certain periods have had a greater impact than others. Ambitious titles like Braid and Limbo helped legitimize smaller games without multi-million dollar development and marketing budgets. Entire conventions devoted to the celebration of fresh, original ideas coming from independent studios have sprung up and flourished through the success of digital experiences. 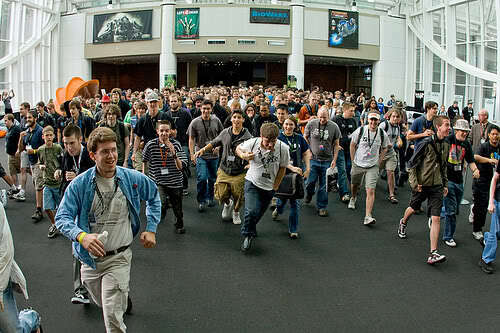 Many events were taking place before the downloadable boom of 2008, but attendance of some shows has since rivaled that of major industry gatherings like the Electronic Entertainment Expo – widely considered to be the ultimate expo in the video game industry. The Penny Arcade Expo, described as a celebration of gaming culture, has succeeded over the past eight years through its acceptance and attention to games of all sizes. The initial 2004 Seattle convention attracted 3,300 people, while 2011’s show held over 70,000 developers, publishers and members of the press. A second convention, held in Boston due to the demand of eastern developers and fans, has reached similar numbers since its 2010 debut. Even with the greater focus on downloadable titles developed both independently and within more well-established companies, attracting enough pairs of eyes to break into the industry is no easy task. 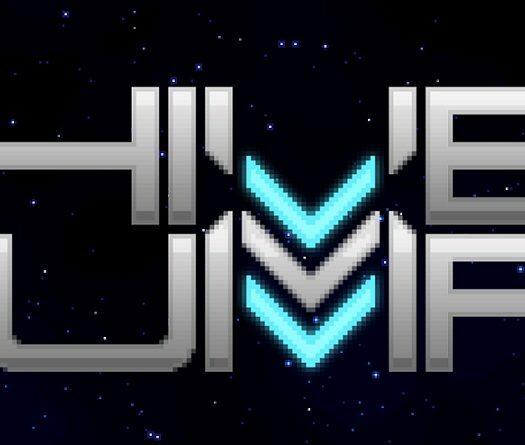 Venues like Mircosoft XNA allow passionate developers to release their work at a meager price, but visibility is limited compared to the now popular Xbox Live Arcade and PlayStation Network. Ian Stocker, founder of MagicalTimeBean and creator of both Soulcaster and Escape Goat, has been working within the XNA service in hopes to find a wide audience for his games. Distribution options are seeing consistent improvements, but calling independent game development a comfortable career wouldn’t exactly be accurate. How to market an independent title is still a learning process, but with such a strong sense of community, many studios have taken to social media and face-to-face interaction instead of costly commercials. Success is never guaranteed, but for a five-man team like Arcen Games, the risks that come along with smaller, independent development are worthwhile. The goal is still a high level of visibility, whether it’s among publishers or paying customers. Yet, the recent success of Kickstarter has put a new spin on the way games are both paid for and advertised. Instead of catering to the wants and needs of profit-focused organizations, developers can now pitch games on the Kickstarter website to the general public to see if they are willing to financially back the development. Double Fine, a development studio founded by Tim Schafer, had the first true success on the website. 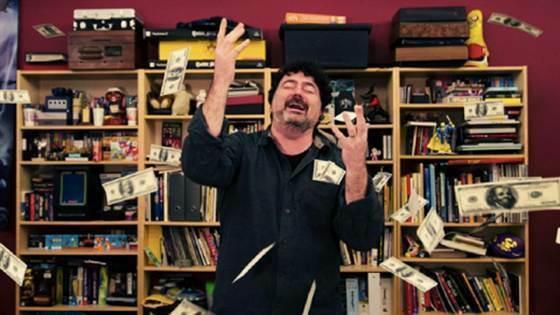 Asking for $400,000 for the “Double Fine Adventure,” the studio crossed the $1 million mark in just under 24 hours. Whether through fan demand or the power of the publisher, the presence and growth of downloadable games has reached a new high as the current console generation is coming to a close. With a new wave of systems coming around the corner from Nintendo, Microsoft and Sony, any technological barriers holding these games back are sure to be lifted.